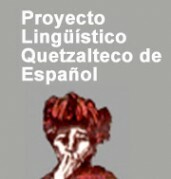 Proyecto Lingüístico Quetzalteco (PLQ) has introduced students, volunteers, and youth leaders to DESGUA, many of whom have gone on to participate in a series of mutual collaborations. Projects include conferences, workshops, and documentary screenings both at the school and in the local communities. In addition, PLQ has graciously shared its facilities and equipment in support of our School of Community Organizers initiative. PLQ continues to help our network grow by informing students from the United States of our volunteer and work possibilities with DESGUA Guatemala during their stay, as well as options for continuing their involvement with DESGUA USA upon their return. Proyecto Lingüístico Quetzalteco, a Spanish language school in Quetzaltenango is committed to quality language instruction in a context that gives students an awareness of the social, political, and economic realities of Guatemala and Central America. They also offer classes at the PLQ Mountain School. The Mountain School is small Spanish language school in the rural area outside the town of Colomba providing jobs and support to community groups.